The cost of the sample (Max 6 samples) will be subtracted from your next purchase of full panels. Samples will ship via Fedex SmartPost/USPS. 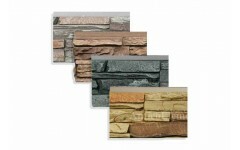 The cost of the samples (Max 6 samples) will be subtracted from your next purchase of full panels.